Gerry Tchisler joined the firm in 2017 and has been engaged in providing advice and obtaining development approvals for a variety of private sector clients. He provides policy analysis and project management services for a range of development applications including Official Plan and Zoning By-law Amendments, Site Plan Control and Plans of Subdivision. Gerry has experience undertaking due diligence exercises and providing expert evidence at the Ontario Municipal Board. Prior to joining MHBC, Gerry was a municipal development planner. 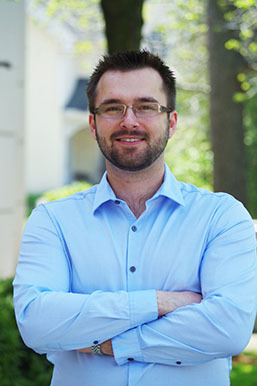 Gerry received his Bachelor of Arts degree in Economics from McMaster University in 2012 and his Master’s degree in Urban and Regional Planning from Queen’s University in 2014. Gerry is a Registered Professional Planner and a member of the Canadian Institute of Planners.